After university, Prince William trained at Sandhurst military academy. From there he was commissioned as an officer in the Blues and Royals division of the Household Cavalry. In 2000, the Prince spent ten weeks in Chile on a Raleigh International expedition. He spent his time in the South American country sleeping under the stars, dancing salsa with villagers and tracking rare deer. Coincidentally, Kate also went to Chile with the same organisation a few months later. He made his grand debut on 21 June 1982 in St Mary’s Hospital in London, where his own two children, Prince George and Princess Charlotte, would both be born three decades later. His arrival on Midsummer’s Eve makes him a solstice baby. According to astrological experts: “Those born during the magical cusp of the summer solstice quickly fall under the spell of enchantment. Romantic and inspirational, they often put their talents and energies in service of a higher purpose.” With the star sign Cancer, the Prince is also thought to be home-loving, sensitive and loyal. William made his first overseas trip when he was just nine months old, joining his parents on an official visit to Australia and New Zealand in 1983. 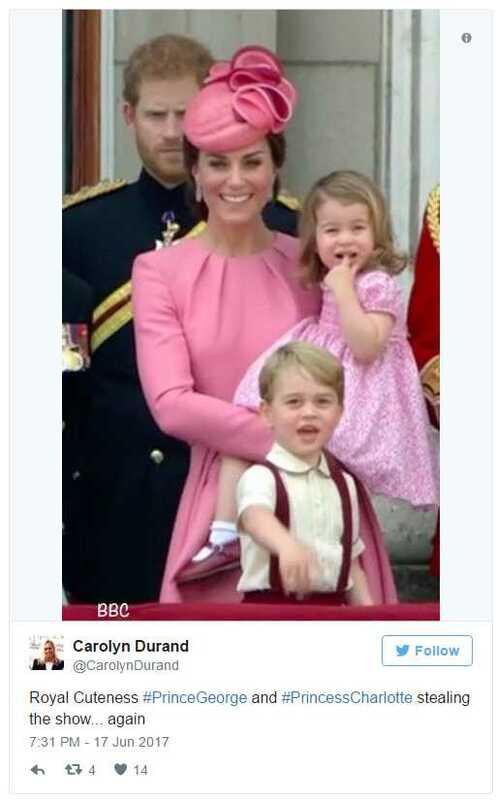 This was the result of a groundbreaking decision by his mother Princess Diana, as it was not usual then for royal children to be taken on tour. 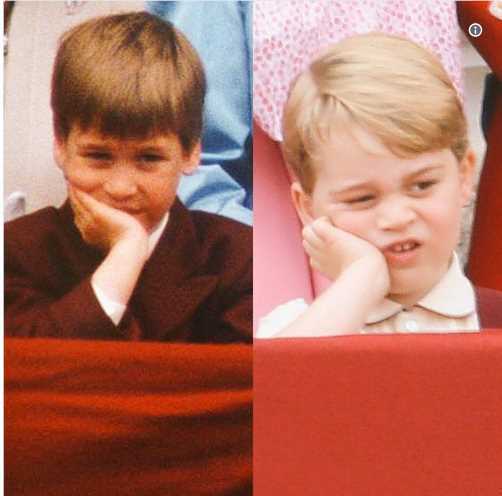 Prince William is a graduate of St Andrews University in Scotland, where he studied geography – after switching from his initial choice, history of arts, the course on which he met Kate. In 2008, he joined the Royal Air Force, later being presented with his RAF wings by his father. He was known by his fellow airmen as ‘Billy the Fish’, a pun on the name ‘William Wales’. The Duke and Duchess of Cambridge live in Kensington Palace, Apartment 1a, a four storey house that was the home of the Queen’s younger sister, Princess Margaret. It has three kitchens, three bedroom suites, a day and night nursery and five reception rooms. A keen surfing fan, he has enjoyed riding the waves in St Andrews, Cornwall and Devon. His first dance with Kate was to Ellie Goulding singing a cover of the Elton John classic Your Song. The singer joined him last year at an event for charity Centrepoint. The future King was named Prince William Arthur Philip Louis, after “a bit of an argument”, as his father Prince Charles good-humouredly revealed. His mother Princess Diana is thought to have chosen William, while Charles’s choice, Arthur, went second, followed by Philip in honour of Charles’s father and Louis for the heir to the throne’s beloved great-uncle, who was assassinated in 1979. 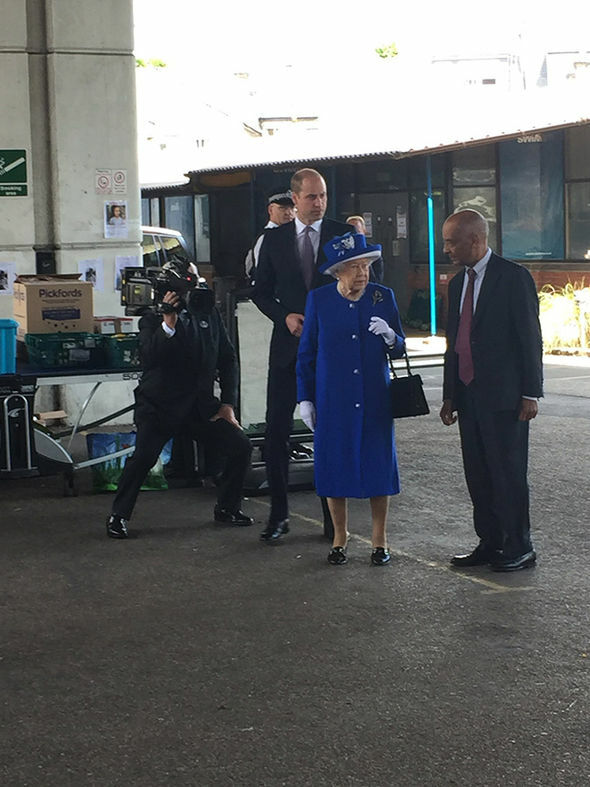 Following in his mother’s footsteps, William is a patron of Centrepoint, which was set up to help homeless people. To demonstrate the conditions faced by rough sleepers he once bedded down on the street in central London for a night. This year he helped launch a helpline for homeless people by taking a call from a teenager who had been robbed while sleeping rough. 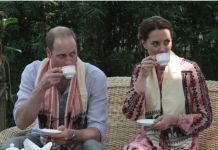 When it comes to the couple’s viewing habits, William has revealed that he and Kate are quite “box setty”. They’re “big fans of Homeland”, think Game of Thrones is “worth watching”, and love Aussie soap Neighbours. William is a member of the Order of the Garter, England’s oldest order of chivalry. Ahead of his 30th birthday the Queen conferred on him the Most Ancient and Noble Order of the Thistle, Scotland’s highest honour. His favourite cake is “chocolate biscuit cake”, made using rich tea biscuits and dark chocolate, and cooled in the fridge rather than baked. He had a version made as one of the cakes for his wedding. An accident in 1991 left the Prince with what he calls his ‘Harry Potter’ scar, still visible today. A school-friend accidentally hit him on the forehead with a golf club during a game. William’s official patronages include being president of the FA. He supports Aston Villa because it is a club with great history and because he wanted to be different from all his friends. He believes he could beat his younger brother Prince Harry at arm wrestling, joking that “it’s not even a contest”. The Prince isn’t a big fan of very hot food. Last year, while attending a Kensington Palace reception for young people with links to Bhutan and India ahead of an official tour there, he admitted that he “struggles” with spices. At 13, William had a crush on Cindy Crawford. As a treat, Princess Diana contacted the supermodel and invited her to lunch at Kensington Palace so he could meet her. Cindy says she chose her outfit with great care, so as to look both beautiful and appropriate. He wanted to be a policeman when he was younger – until Harry pointed out to him that he’d have to be King instead. 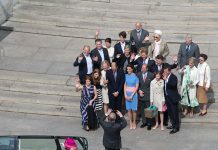 His former RAF colleagues admitted that they often played pranks on the Prince: “We spent a few pounds on Kate and William memorabilia and strategically secreted it around the place, so he might find his own face on a cushion or see it on a cup when you give him a cup of tea,” one revealed. The couple’s cocker spaniel, Lupo, was a wedding gift from Kate’s brother, James Middleton. The son of Michael and Carole Middleton’s own dog, Ella, he appeared in Prince George’s first two official family portraits. William’s marriage ceremony with Kate was watched by 24.5 million people in Britain, and an estimated two billion worldwide. One much-appreciated wedding gift that he and Kate received was a swing with their names, William and Catherine, engraved on it. Prince George has been pictured playing on it at the family’s country home, Anmer Hall in Norfolk. Before George’s birth in 2013, Prince William told friends that he’d been reading an army-style handbook for new parents entitled Commando Dad. After the birth, William broke with tradition, driving him and Kate home from hospital himself. He shares a love of helicopters with his son, whom he once took to an air show at the RAF Fairford airfield. Prince William speaks passable French. He gave a speech in Quebec entirely in the language in 2011. That same year he also spoke a few words of Maori, telling New Zealanders “Kia kaha”, which means “Be strong”, in the wake of the earthquake that devastated the city of Christchurch. And before a visit to China he attempted a few words wishing his hosts a Happy Chinese New Year. He has female admirers everywhere, with actress Eva Longoria and model Miranda Kerr both admitting crushes for the future King. The Prince is left-handed, which was first revealed when he signed his name in the visitors’ book at Llandaf Cathedral in Wales in 1991. It was a handicap for the polo-playing Prince, because the game only permits the use of the right hand. 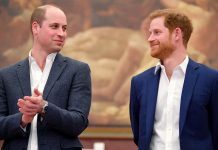 Nicholas Colquhoun-Denvers, the president of the world polo governing body, said William was “determined” enough to learn and “didn’t want to be outdone by his brother”. As well as giving his wife his mother’s engagement ring, after they wed William gave her the diamond and sapphire earrings that once belonged to Diana. Kate has had them remodelled into drop earrings.